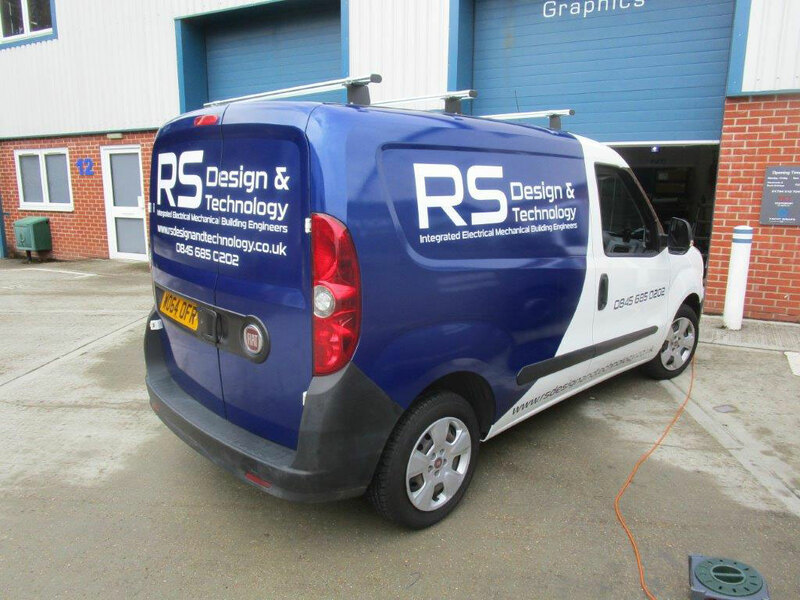 R & S Design & Technology supply the complete service for School and College Design & Technology Departments. 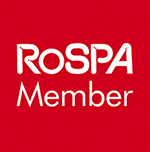 Find out About Us and up to date health and safety news on this page. We also undertake inspections of Gas Appliances and installations in D & T , Science and Food Technology, together with associated works. The companies new service engineers vehicle. RSDT are introducing fixed term contracts for service and inspection. This allows the costs to be fixed over these periods and offer other significant savings. Inspections are now carried out using iPad technology which allows both reports and quotations to be emailed back to the client within 24 hours. RSDT has experience working worldwide within the commercial sector and has recently extended this role to schools and colleges requiring design, advice and installation on a global basis. across the UK, delivering a costs effective and reliable service. Summer 2018 ...RS relocated the DT department at Rydon Community College into temporaryaccommodation pending the completion of new buildings and its transition to be part of Steyning Grammer School. 2019 - RS commence the refurbishment of the Design & Technology Dept at New Market Academy. Installation of new lathes - Milling machines and Woodworking equipment to increase the excellence in Design and Engineering this Academy provides. have supplied their key services to School and Colleges for many years. Our skills in Electrical & Mechanical engineering are well established as is our understanding of BS4163 :2014 and Building Bulletin 81 which allows us to give advice and guidance to assist in Design and Installation requirements. Is your workshop machinery due for its Annual Service? The PUWER 98 Regulations recommended that your workshop machinery is serviced annually, and that the information is recorded, and the machines certified, for insurance purposes. Do all rotating blades or parts stop within 10 seconds of the emergency stop being pressed? Legislation now requires the rotating blades or parts of machines to stop within 10 seconds of the emergency button being pressed. Emergency stop buttons must be correctly placed to comply, if the machine user needs to lean over the machines moving parts or reach around a machine taking the body closer to moving parts, to reach an emergency stop button, they do not comply and represent a clear and present hazard. Do you need advice on compliance issues and electrical & mechanical installations? Most County Councils require that their schools follow these recommendations. Servicing is the most cost-effective way of ensuring the longevity of your equipment and can be carried out with almost no disruption to classes, by our qualified engineers. Our servicing is thorough, exact and documented for your peace of mind, and our knowledge of current legislation is second to none. What is Building Bulletin 81? Provides guidance on accommodation for design and technology in secondary schools. It discusses the issues that arise when considering both new and existing accommodation. The guidance given is not prescriptive. 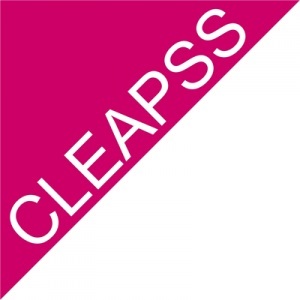 It illustrates typical examples and suggests a flexible approach which can be used as a guide against which individual schools can assess their own requirements. This document has been superseded. We are up to date with current changes and implement abd advise on all current advice. Building Bulletin 81 when reviewed should be read in conjunction with DfEE Design Note 43. BS 4163 sets out the health and safety requirements for design and technology in schools and other educational facilities. This code of good practice gives clear guidance for personnel who are responsible for planning services, machine tools or machine handling, and for anyone who is involved with design and technology facilities. “Design and technology in schools” refers to all teaching and workshop areas where materials are manipulated and processed. These include building services, food preparation equipment, textile machinery and accessories, plastics-working machinery and woodworking and metalworking machines. BS 4163 includes terms, definitions and references to cover equipment safety and the supply of machine and hand tools. It gives a set of recommendations to put safety measures into place in an environment where learners/students work with chemical hazards, cloth, asbestos, adhesives, moulding equipment, plastics and wood. BS 4163:2014 other contents include health and safety management, as well as planning and services. BS 4163:2014 replaces BS 4163:2007 which in turn replaced the BS 4163:2000 which was withdrawn. Are there any safety guidelines for design and technology workshops? A useful British Standard provides safety guidelines for design and technology workshops. BS 4163:2014 Health and safety for design and technology in schools and similar establishments - Code of practice, provides guidance for people responsible for design and technology facilities in schools and similar establishments. The recommendations cover safe use of equipment, machine tools, materials and chemicals, and personal protective equipment. BS 4163:2014 Health and safety for design and technology in schools and similar establishments – Code of practice For secondary school heads of department and subject leaders. Now fully updated in 2014 this essential document is the basis for all D&T Health and Safety publications and guidance and provides an explanation of the legal aspects of the British Standard Code of Practice. In any investigation by the Health and Safety Executive it will be the ultimate reference document. 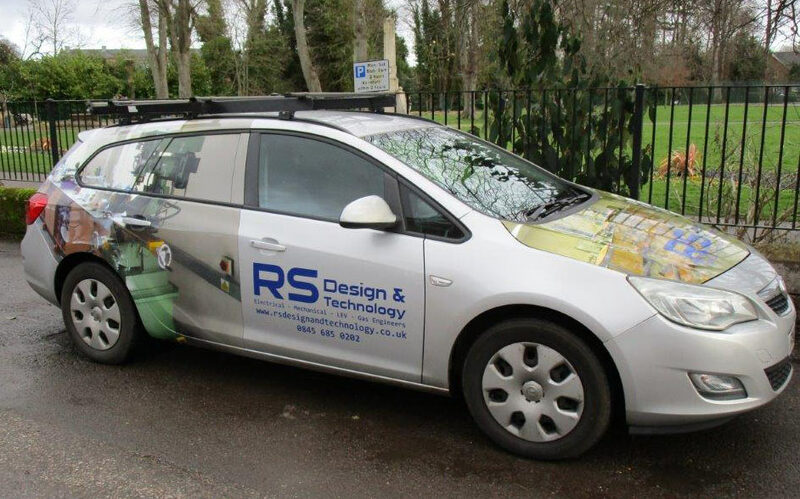 RSDT have appointed a dedicated Gas Safe Registered Engineers to carry out inspections of Gas Equipment installed in DT and Science Departments. The legislation on gas safety has changed a lot in recent years. ( IGEM/UP/11 Edition 2 is the latest ) Those who are found not to be compliant may face prosecution and big fines. Do you know if your school is following the guidelines? Most schools use gas. Whether it’s needed for boiler rooms and heating, Science labs, D & T or simply for cooking in the kitchens, almost all of them have some form of fuel gas on site. This frequently makes school bursars and catering managers responsible – and liable – for the safety of the gas systems on their site. Gas health and safety law is regulated by the Health and Safety Executive (HSE). Both the HSE and the UK’s local authorities have enforcement responsibilities under the Gas Safety (Installation and Use) Regulations of 1998 which aims to prevent injury to the public or consumers from fire, explosion or carbon monoxide poisoning. The HSE have warned that those responsible for maintaining and servicing gas appliances in schools must have a robust gas safety management system in place. This came after a council was fined £10,000 following an incident at a school in the North of England. Independent schools should be aware they carry the responsibility themselves. Schools and Colleges are on the list of those who must ensure regular safety checks on any fixed or portable gas supplies and flues. The checks must be done by an engineer who is listed on the Gas Safe Register. Where gas is fitted as part of commercial food preparation equipment, the manager of the premises is responsible for ensuring the equipment is regularly inspected and serviced. The Gas Safety registered inspection engineer must leave a safety report signed by both themselves and the premises manager, and is recorded in the Annual Statement of Compliance. Any maintenance or installation works must also produce a gas safety report. The responsible person should familiarise themselves with safety regulations concerning gas appliances, gas cooking appliances and the education (school premises) regulations. The regulations for LPG are the same as for natural gas. Failure to comply with the regulations can result in substantial fines and even a custodial sentence for the liable party. There are rules laid out in the HSE Sheet 23 that specify the safety features that must be installed at the same time as any gas burning oven or other gas appliance. You must ensure that you follow these if you are having new or second hand . Wherever there are highly flammable materials or fuels, of course safety is a concern. Leaking gas can build up in enclosed environments posing an explosion risk from a spark when a light switch is activated, for example. And there is the risk of fire from exposed flames. Ensuring your staff are safe, protected and fully trained in the correct use of the equipment is vital for both them, and you as their employer. Gas explosions are however mercifully rare. What is perhaps of greater concern is the risk from carbon monoxide (CO). CO is a poisonous gas with no odour, colour or taste. It’s caused by badly fitted or poorly functioning gas burners failing to properly burn the gas and poorly maintained extraction systems in D & T Departments. CO is extremely dangerous because it can cause suffocation in a relatively short amount of time by preventing oxygen from being carried around the body by the blood, and people may not realise what is happening to them. Even when an appliance is not working badly to cause death, prolonged exposure to CO can have severe health complications including brain damage and paralysis. This is why proper monitoring and servicing of all gas equipment is so vital. You should also always ensure there is proper ventilation in areas where gas is being burned – for example in boiler rooms or kitchens. Don’t let anyone cover essential vents. Ensure any chimneys or flues are regularly swept. Watch for flames burning yellow or orange rather than blue. If any of your staff working around gas appliances complain of headaches, nausea, lethargy or dizziness you should refer them to their GP for CO testing and call in an engineer to test the equipment. If the school were to face a claim from someone who believed they had been adversely affected by working – or living - around faulty gas equipment it could have massive implications regarding future insurance premiums, and failure to keep up with inspections could result in an engineer issuing an ‘At Risk’ or ‘Immediately Dangerous’ notice which could mean that the kitchen / Department– or in the worst case, the school – would have to close until a full maintenance program had been carried out. RSDT are now able to carry out saturation testing of fume cupboards in accordance with CLEAPSS guide lines. Full information and guidance available.